Not only was this a treat, it was a guilt-free treat. 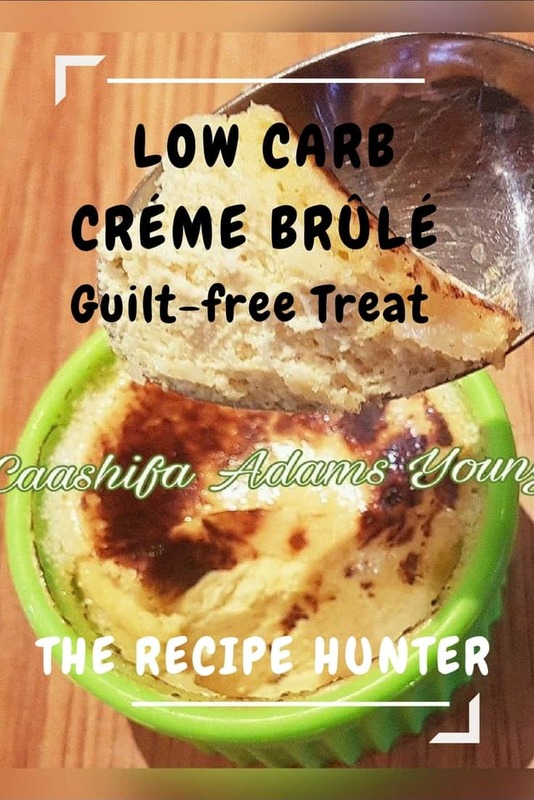 This sugar-free low carb créme brûlé ticks all the right boxes. In a large mixing bowl, whisk together the egg yolks and the Truvia. Slowly whisk in the cream and the essence. Place the ramekins into a deep baking dish. Bake at 160C just until the créme brulé is set, but still trembling in the centre, approximately 40 to 45 minutes. (I overbaked mine so really get it out on time). Refrigerate for 2 hours but best overnight. Sprinkle Truvia on the top of the brulés and torch till crispy. (I also over torched mine a bit). This can also be done under a grill.